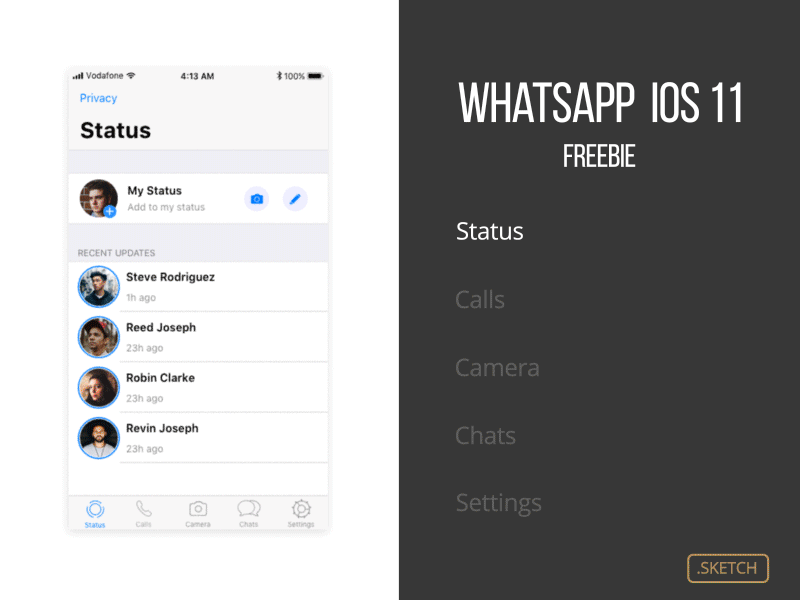 I was working on a video related to Whatsapp - IOS but couldn't find a free resource. So I made one in .sketch format and I have attached it for public usage. Feel free to use them and save the pain of recreating. This sketch file contains 5 main screens and icons nested within them.